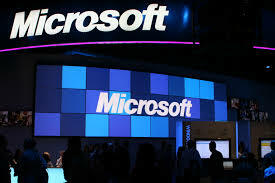 Do you enjoy using Microsoft products? Have you recently downloaded an application from the online store or visited a retail store? Did you like the service you received, or have any issues? The company is offering a feedback survey online. The survey for Microsoft is available in English or Spanish. When you first access the site online, please choose the language of choice. Then, you will be asked a variety of questions including: the date of your visit, the country of choice, and your age. Each of these three questions are required to proceed to other questions within the feedback process. For official rules regarding the sweepstakes, a link is provide at the bottom left hand side of the site. Privacy policies for Microsoft and Confirmit are also available and should be reviewed before proceeding with the feedback option. The Microsoft survey, as well as other surveys, is a great way to provide honest feedback to companies you are using. There are hundreds of options to give your opinion and let your voice be heard. Applied Surveys provides you with many of these options, so be sure to check back often for new survey listings. Visit the Microsoft Survey online at http://microsoftfeedback.com!